In the first chapter of Foster Care: Global Issues, Challenges and Perspectives of the 21st Century, the authors explore modern research regarding children of foster parents around the world, including an overview of literature and the use of an online virtual platform to connect the fostering community. 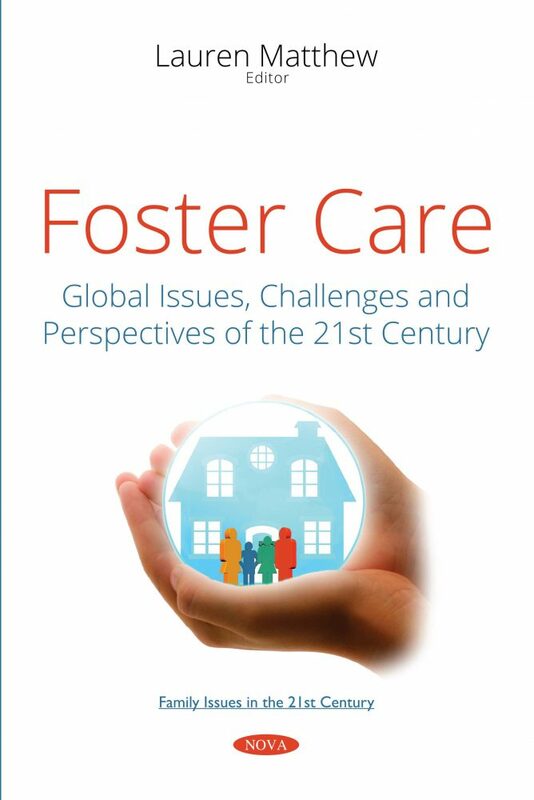 Experts from Canada, the United States, Ireland, Sweden, Australia, and the United Kingdom offered up their knowledge on children of foster parents as well as recommendations for the well-being of said children. Next, a study exploring the implementation of a kinship search program in a child welfare agency is presented in order to determine its benefits. The authors conclude that Kinship Researchers are generally perceived as “respectful, helpful, beneficial, and valuable.” Additionally, child welfare policy is examined. Later, the essential practice of traditional kinship foster care in Ghana is explored, including current legal provisions, public perception, potential challenges, and future recommendations. The authors also discuss the phenomenon of runaway youth in the foster care system. Due to the fact that children in the foster care system are twice as likely to display runaway indicators than those in the general population, this is a significant issue that warrants understanding. A description of running away in the foster care system is rendered, along with the ramifications that may occur for on-the-run youth. The next chapter deliberates on a study regarding children in out-of-home care in South Korea, comparing the service status of different placement types in terms of developmental outcomes of the children. The results indicate that children in foster care thought of their caregivers and environments more positively than those in institutional care over a period of two years. The following chapter discusses a variety of federal and state laws that address children who were abused and consequently served by the child welfare system. The authors use case studies of foster youth to demonstrate how the law has been used to secure the services, support, and resources needed to place foster youth on a pathway to a more positive future. The final chapter outlines an approach known as “Watch me Play!” which encourages supported child-led play in acknowledgement of training needs in the social care workforce. The authors also discuss the potential impact of exploratory and symbolic play to child development, attachment, and communication.